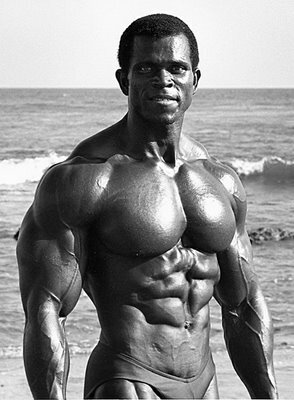 Serge Nubret is my favorite bodybuilder of all time. The French actor decided to compete as a last minute entry in the 1975 Mr. Olympia competition and finished second in the tall man category beating out Lou Ferrigno. He was only bested by Arnold Schwarzenegger (who happens to be the best bodybuilder of all time). You can witness these events and more from the Nubret Lion in the popular documentary Pumping Iron.